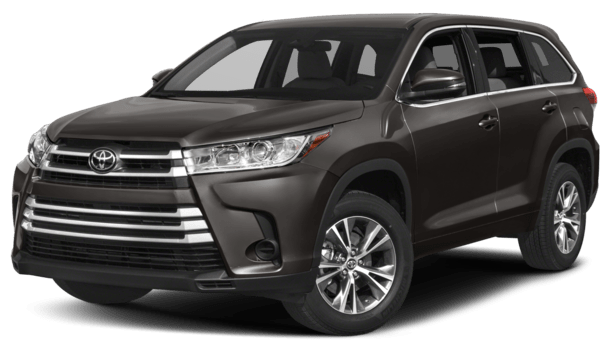 The 2017 Highlander features a refreshed front fascia with an updated fron grille and redesigned headlights, making for one bold first impression. And with a unique grille tailored for each grade, there’s a Highlander that perfectly matches your style. Lane Departure Alert (LDA)1 helps you stay in your lane. The system detects visible painted lane markings on the road and alerts you if you start to drift out of your lane. An audible beep and flashing light on the instrument panel alert you to take corrective action. When combined with Steering Assist,2 LDA helps keep Highlander in its lane by providing gentle corrective steering when necessary. Designed to improve your drive. Highlander’s Dynamic Radar Cruise Control (DRCC)3 works like conventional cruise control but can do even more. Using forward-facing radar technology, the system is designed to automatically adjust vehicle speed to help maintain a preset following distance between you and the vehicle directly in front of you. The Pre-Collision System4 with Pedestrian Detection5 (PCS w/PD) helps keep the road safe by detecting pedestrians in certain situations. By combining millimeter-wave radar with a camera capable of shape recognition, the system provides an audible warning and a display notification to alert you of a possible collision with a pedestrian under certain circumstances. If you don’t react, automatic braking and collision-avoidance support is then given to help prevent a collision. Enhance visibility and help make nighttime driving safe for everyone. The Automatic High Beam6 system uses a camera to help detect oncoming vehicles as far away as 2000 feet and, depending on the circumstances, automatically switches the high beams on and off, making it easier for other drivers on the road. 1 Lane Departure Alert is designed to read lane markers under certain conditions, and provide visual and audible alerts when lane departure is detected. It is not a collision-avoidance system or a substitute for safe and attentive driving. Effectiveness is dependent on road, weather and vehicle conditions. See Owner’s Manual for additional limitations and details.2 Lane Departure Alert with Steering Assist is designed to read lane markers under certain conditions. It provides a visual and audible alert, and slight steering force when lane departure is detected. It is not a collision-avoidance system or a substitute for safe and attentive driving. Effectiveness is dependent on road, weather and vehicle conditions. See Owner’s Manual for additional limitations and details. 4 The TSS Pre-Collision System is designed to help avoid or reduce the crash speed and damage in certain frontal collisions only. It is not a substitute for safe and attentive driving. System effectiveness is dependent on road, weather and vehicle conditions. See Owner’s Manual for additional limitations and details. 5 The Pedestrian Detection system is designed to detect a pedestrian ahead of the vehicle, determine if impact is imminent and help reduce impact speed. It is not a substitute for safe and attentive driving. System effectiveness depends on many factors, such as speed, size and position of pedestrians, and weather, light and road conditions. See Owner’s Manual for additional limitations and details.